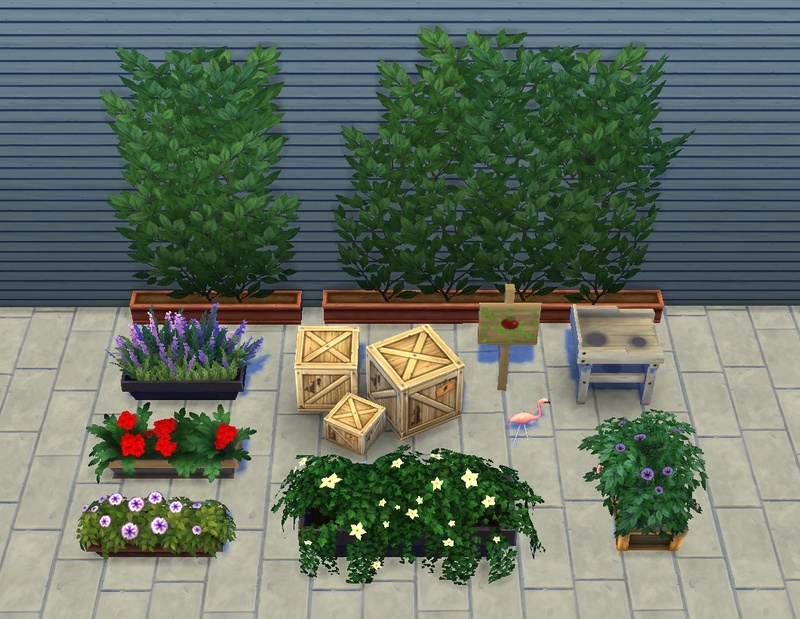 Assorted garden stuff from the game files fixed up for Buy/Build Mode, plus two (optional) texture overrides. 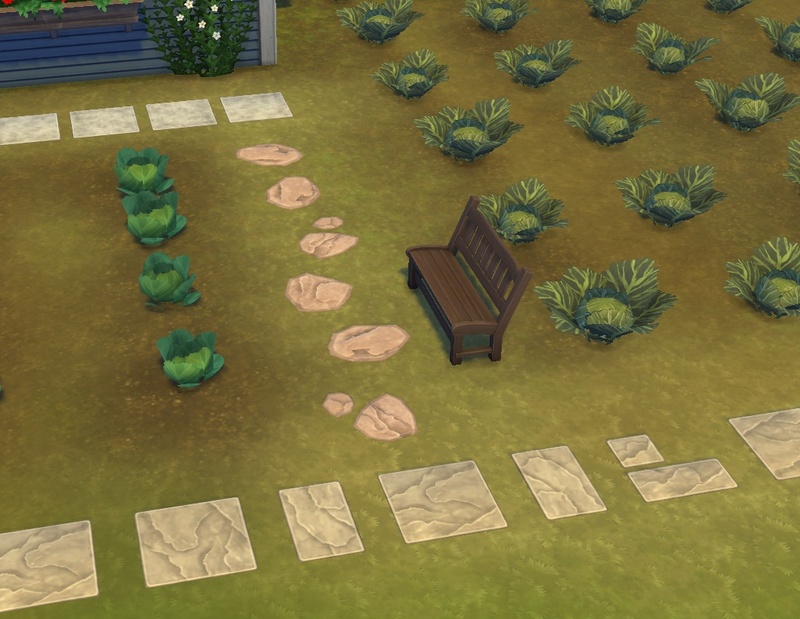 Update 2015-08-18: Updated the pavers so they have rug feetprint (i.e. 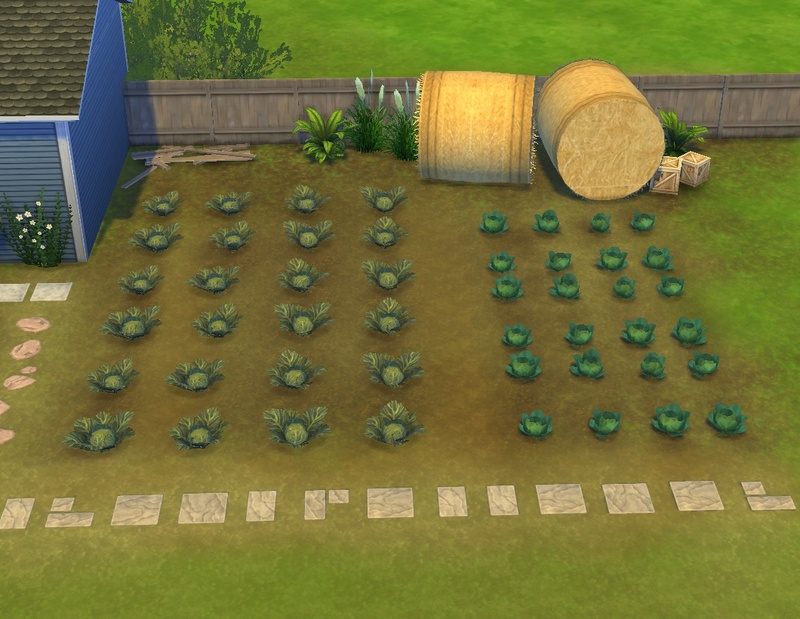 sims can walk over them -- I'm not sure whether this changed with some patch, but 1.10 they could not) and enabled repeat placement. 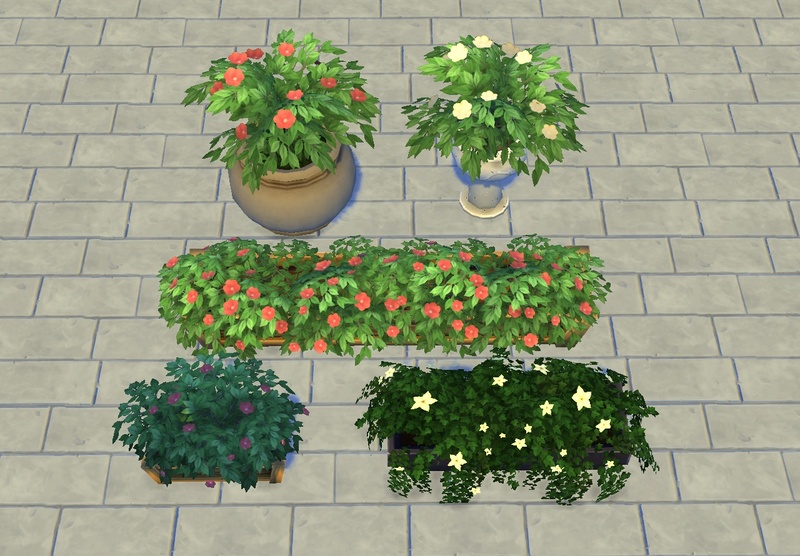 Plus texture overrides for the red/white flowers and the boxed ivy in separate packages, see screenshots for a before/after comparison (all but the comparison picture are taken with the override in). 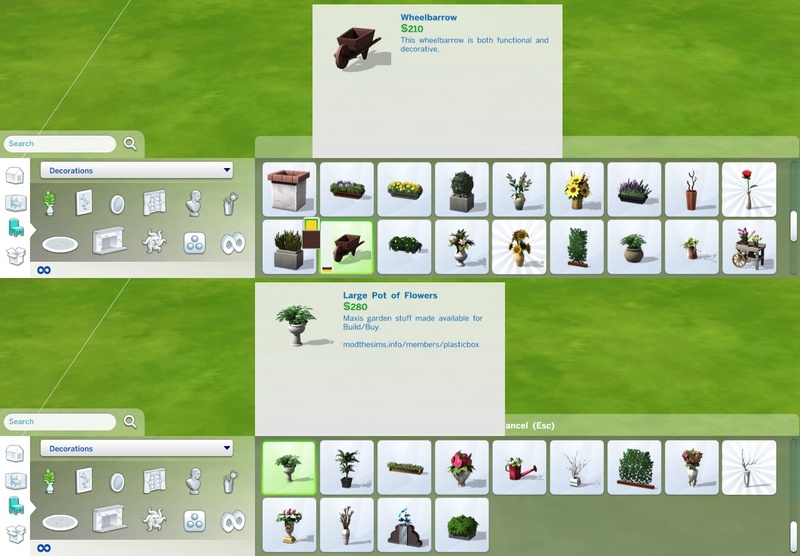 Everything has prices, names, descriptions, tags and so on (the custom names/descriptions are English only btw but should work in all languages -- I don't know whether the Maxis ones are multi-lingual but I hope they have at least the English version in all games). Plants are usually tagged by colour of flowers (i.e. 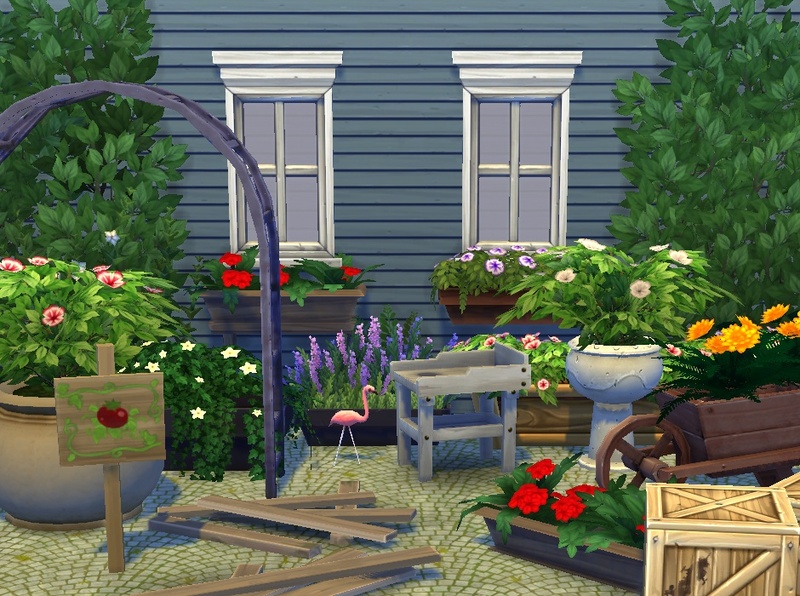 I didn't add "green" to everything since I find that a little redundant). 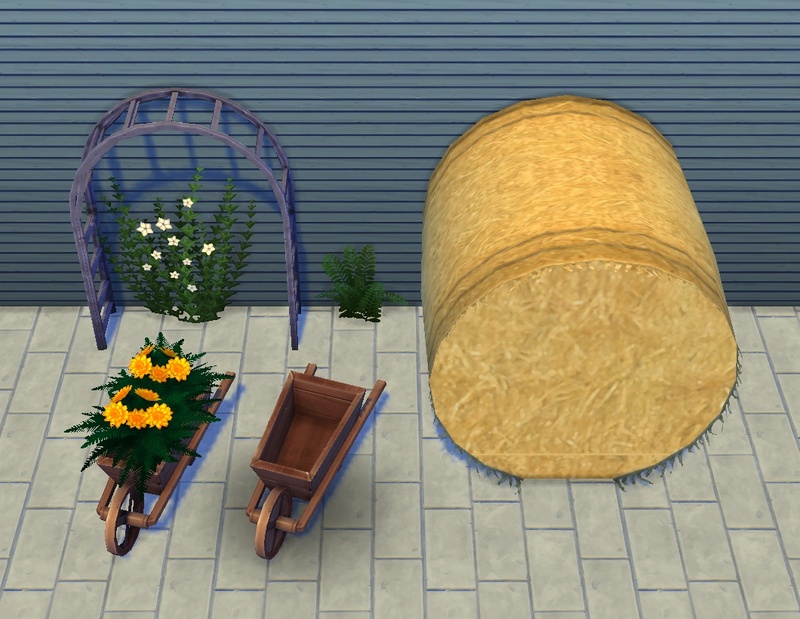 * The full wheelbarrow has a larger footprint than the empty one (which can lead to "Script Errors" when trying to recolour in situations where the small footprint fits, but the larger one wouldn't). 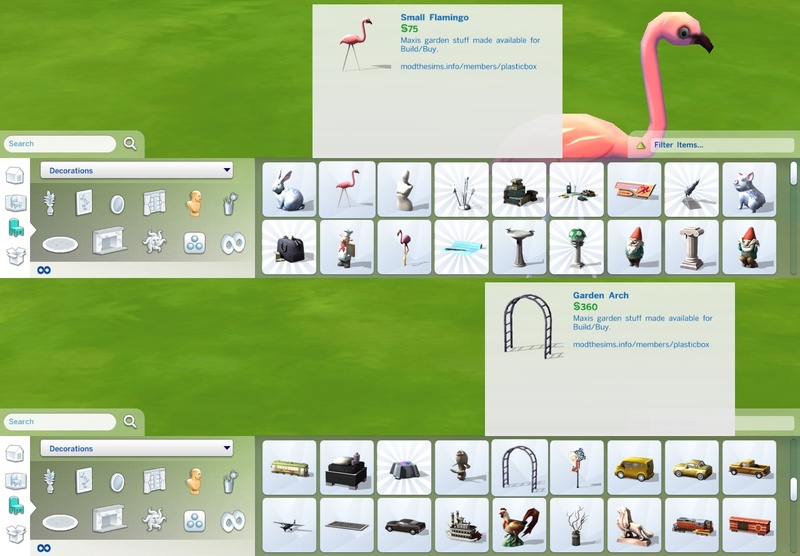 I didn't want to change it since this will definitely be put on the floor, and thus may be cleaned up by the game for people who don't have this mod .. so if you're getting this error, just move it elsewhere and then recolour (or select the full one from the catalogue directly). 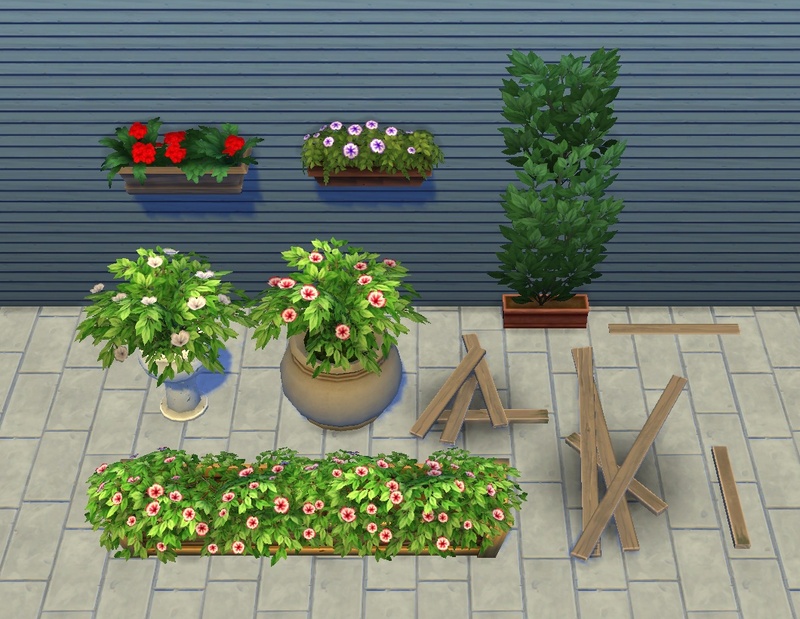 * On one of the small planters (medium wood with red flowers) the texture is rendered too dark, but I don't now why -- it references the same texture as its mid-sized equivalent and everything I see in the MODL/MLOD is identical too, so it *should* look the same. 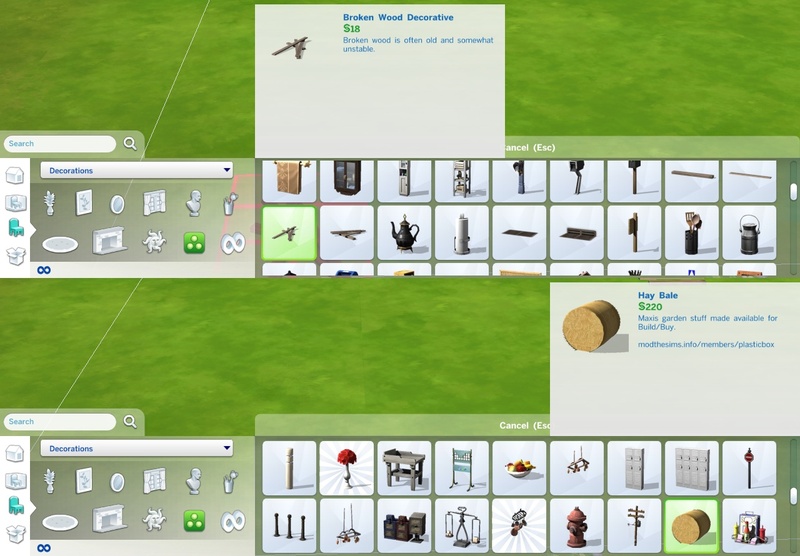 Must be something in the mesh I guess, but I cannot edit that right now. 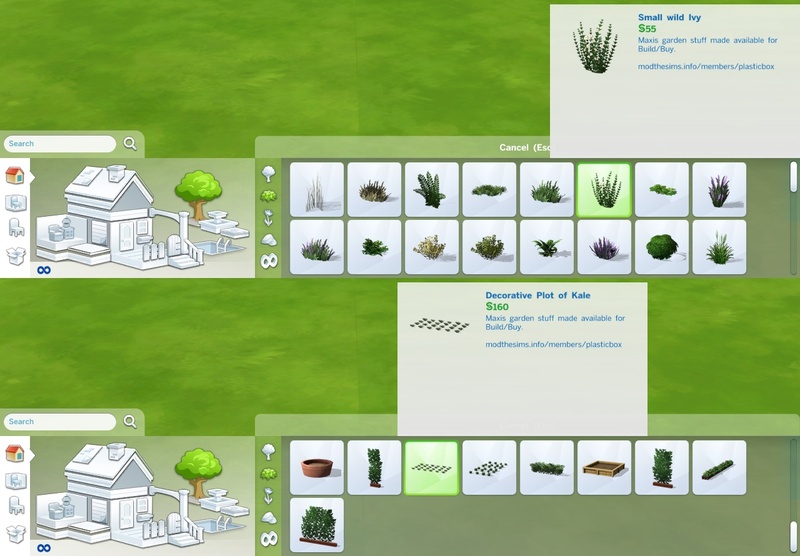 * The feetprint references of the wild plants are edited, so for people who don't have this mod the game may clean them up depending on whether or not the default footprint would collide with something. 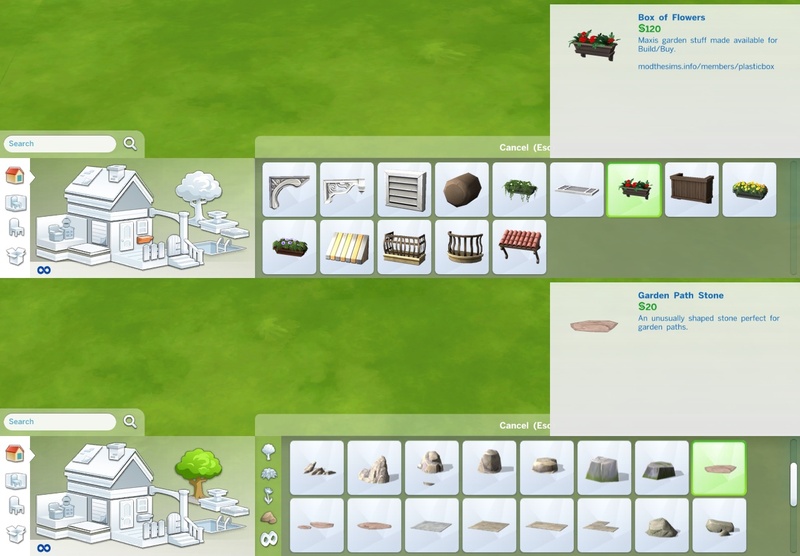 Builders should test and/or put this on their "required CC" list. s4pe, Notepad++, Hasher (i.e. the fogity thing which used to have that name).